The Repair Shop at Saied Music Company is located in our Midtown Tulsa Store. It is a 1000 sq ft shop fully equipped with tools of the trade both traditional and cutting edge. It is staffed by four full-time Professional Repair Technicians with almost a century’s combined experience. 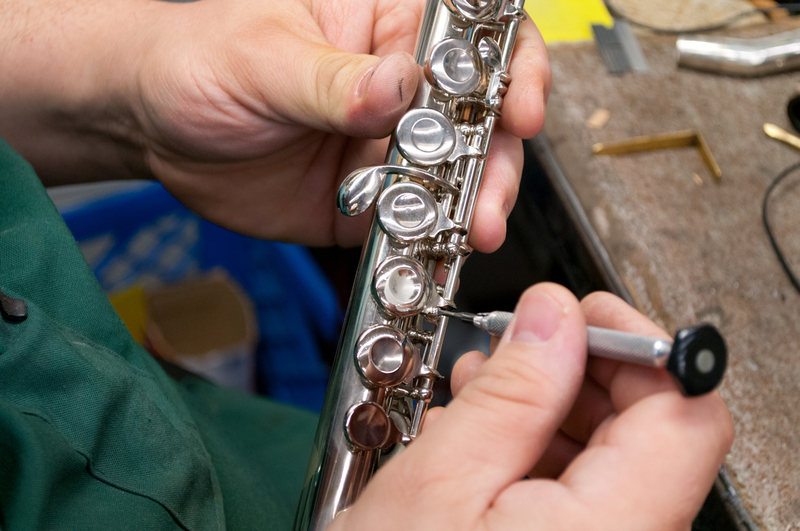 Our Repair Technicians are former educators and professional musicians. 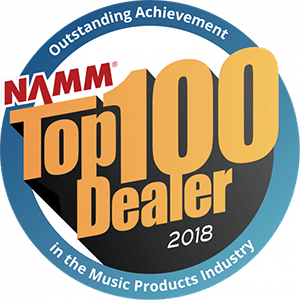 This gives them a deep understanding of the high expectations and demands held by professionals for their instruments as well as an in-the-trenches understanding of the challenges beginners face in trying to learn a new instrument. Brandon played clarinet, alto sax and tenor sax in high school jazz band but marched self-taught trumpet. He is a University of Tulsa graduate with a BA in Music Education. Brandon has performed with Starlight Jazz Orchestra and Signature Symphony Big Band and has toured with Guy Lombardo’s Royal Canadians featuring Al Pierson. Brandon started working part-time in the shop while serving as an assistant band director at Eufaula. However, the lure of the shop was stronger than that of the classroom. Brandon recalls his first major repair job as a HS student. His grandpa found a sax in a dumpster and Brandon decided to repair it to use as a marching horn in college. This ambitious beginning has contributed to Brandon’s reputation of exacting standards and painstaking expertise, highly sought after by area professional musicians. 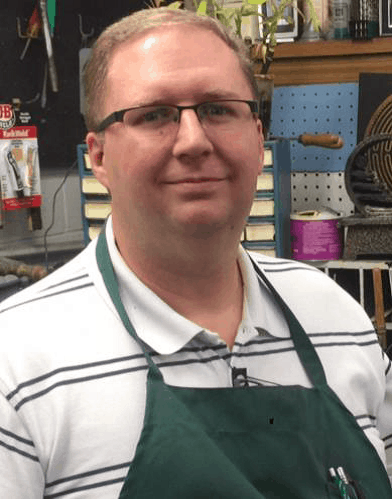 Brandon says, “We hold ourselves to the highest standard possible on every instrument we repair, whether beginner or professional. 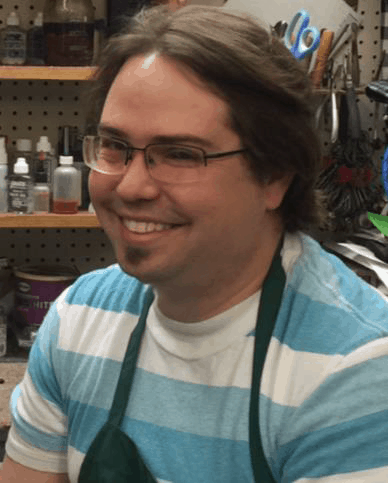 We are never satisfied with ‘good enough.’ We work to make each instrument play the very best that it can possibly play.” Brandon’s reassuring confidence comes through, whether testing a finely-tuned pro-line sax or gently demonstrating a mouthpiece adjustment to a student. Andrew attended Memorial High School where he played cello in the orchestra, drums in the marching band, and bassoon in the wind ensemble. Andrew graduated from Oklahoma State University with a Bachelor’s degree in Business Management, then earned an MBA all while playing bassoon in the OSU Orchestra, Wind Ensemble, and chamber music groups. Andrew currently holds the position of Second Bassoon and Personnel Manager with the Tulsa Signature Symphony, and is a successful free-lancer throughout both Oklahoma and Arkansas, where he is known as a coveted contra-bassoonist. He frequently performs with the Bartlesville and Ft. Smith Symphonies in addition to various chamber groups in the region. 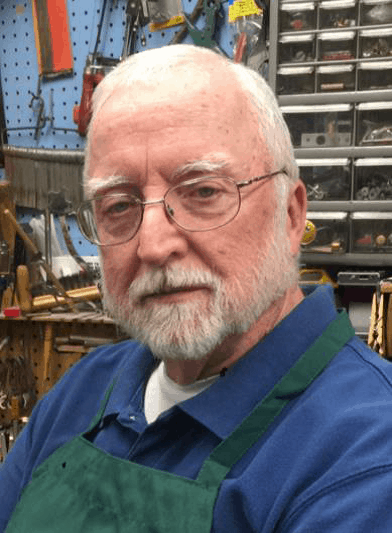 Andrew was drawn to instrument repair one holiday season, when he was in the Midtown store purchasing a guitar book for his nephew. 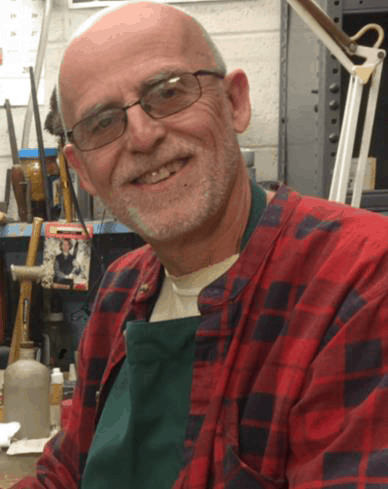 After chatting with his musician colleagues in the repair shop, Andrew decided to make the leap. His talent with woodwinds and experience as a professional bassoonist quickly made him the go-to technician for double reeds. Andrew speaks proudly of the collective experience and demand for excellence in the Saied Music Repair Shop and the respect they each have for the results of their work.